Ranziba is a dedicated strategic communications professional who has worked in public relations, project management and policy development across the public sector, large corporations and at an employee-owned agency. Previous to her role as Communications Officer for the Wellesley Institute, Ranziba worked in provincial ministries and with student unions advocating for fair and accessible post-secondary education. This experience spurred her interest in clearly communicating about the social determinants of health. She is skilled at media relations, stakeholder engagement and knowledge translation. Ranziba studied political science and English and holds an Hon. Bachelor of Arts from the University of Toronto and a post-graduate diploma in public relations from Humber College. 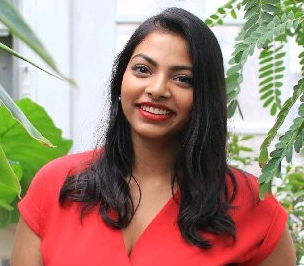 Born in Bangladesh, raised in the Middle East and a long-time resident of Toronto, Ranziba has additional interests in housing advocacy, fitness and the arts.